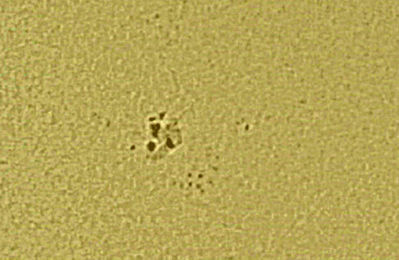 Sun on 3/6/12 White light centered on 570nm using a Stellarvue SV80ED. 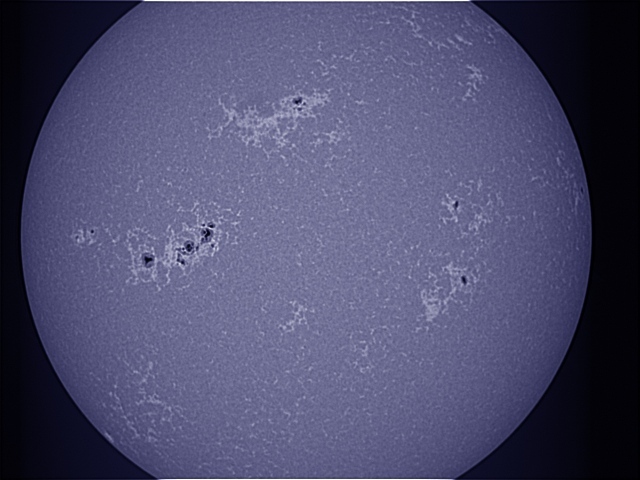 Sun on 3/6/12 thru a Stellarvue SV80ED with a Calcium-K filter centered on 393.4nm. 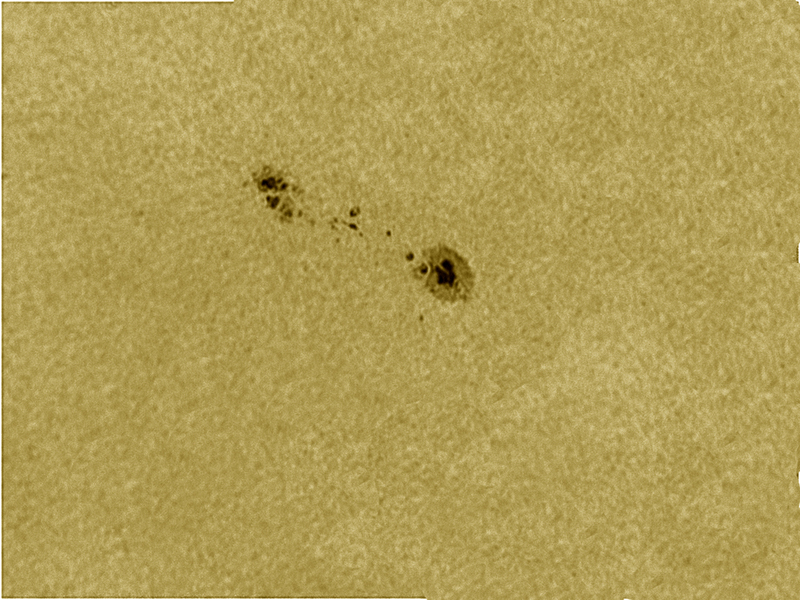 Large active region 1429 is visible. 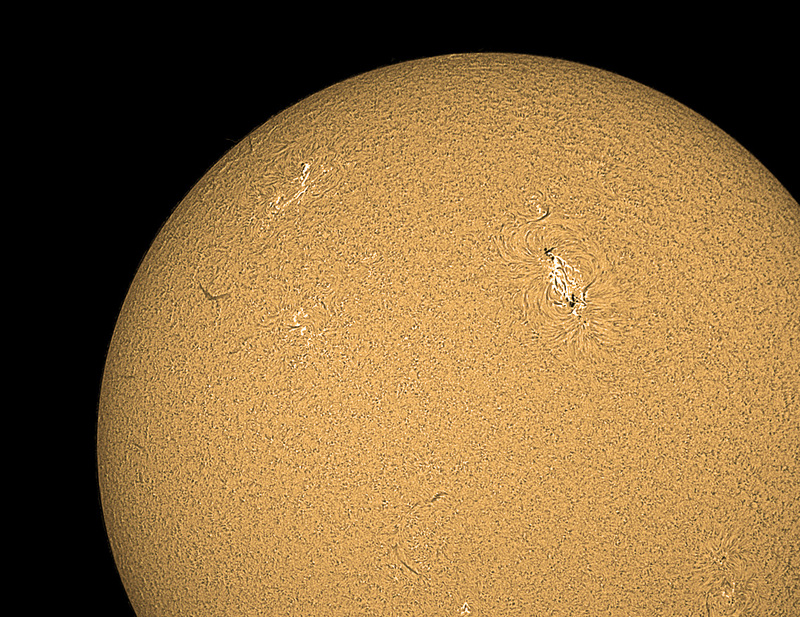 This is the first light image of the sun taken with my new Lunt 80mm solar scope on 2/24/2012. 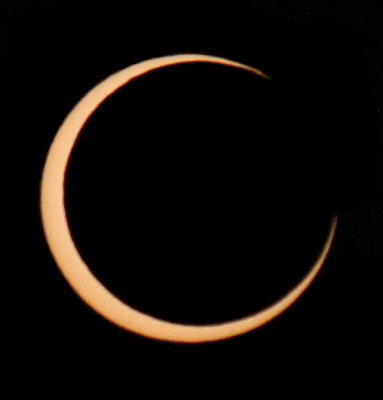 We used Jim's DMK 41 camera and processed the image in Registax and Photoshop CS5. 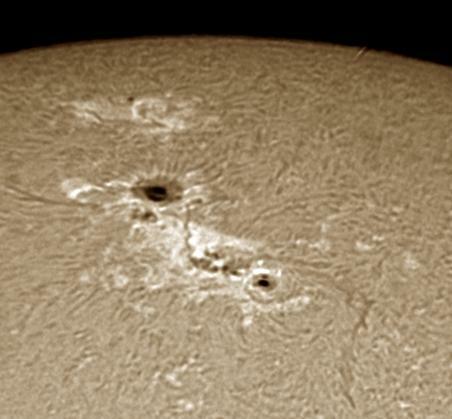 Sun imaged through a PST on 12/27/2011 in Hydrogen-alpha light (656.3 nm)shows Active Region (AR) 1384. 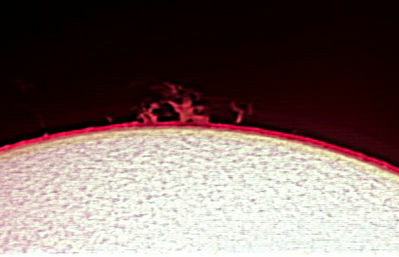 A prominence can be seen along the limb of the Sun. 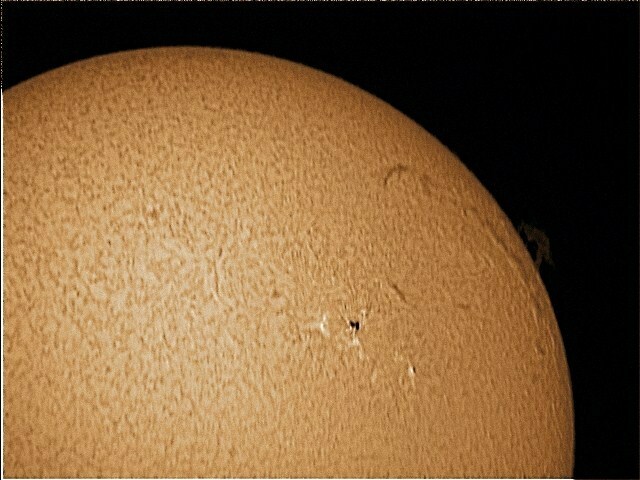 Composite image of Sun (AR1429) on 3/12/2012 using a Lunt 80mm Ha scope and a Stellarvue SV80ED with a Lunt B1200 CaK filter at f14. Images stacked separately in Registax, combined in Nebulosity and final completed in Photoshop. 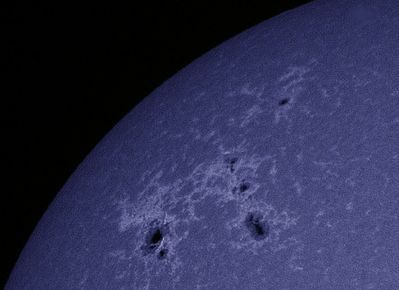 Sun imaged on 3/13/2012 shows an M7 flare occuring from AR1429. Lunt 80mm Ha telescope at f14 using an Imaging Source DMK41AU02 camera. 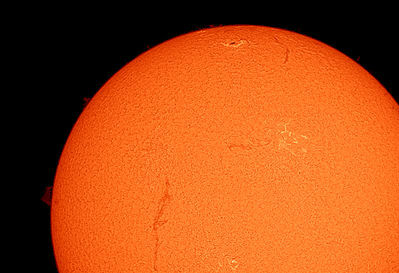 Sun imaged from the AAG Solar Eclipse star party at the New Mexico Museum of Space History on 5/20/12. 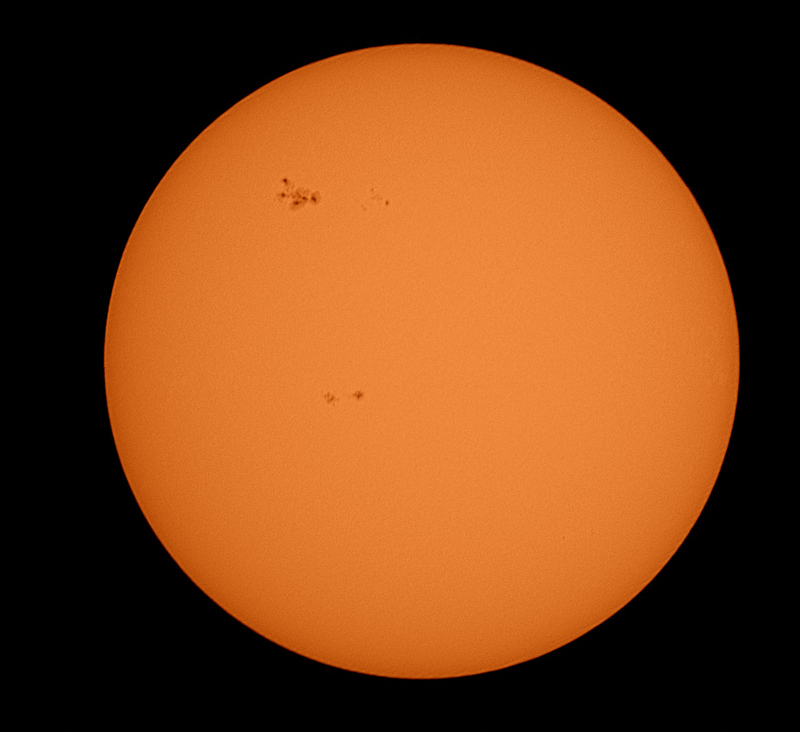 Sunspot activity has increased in recent weeks. 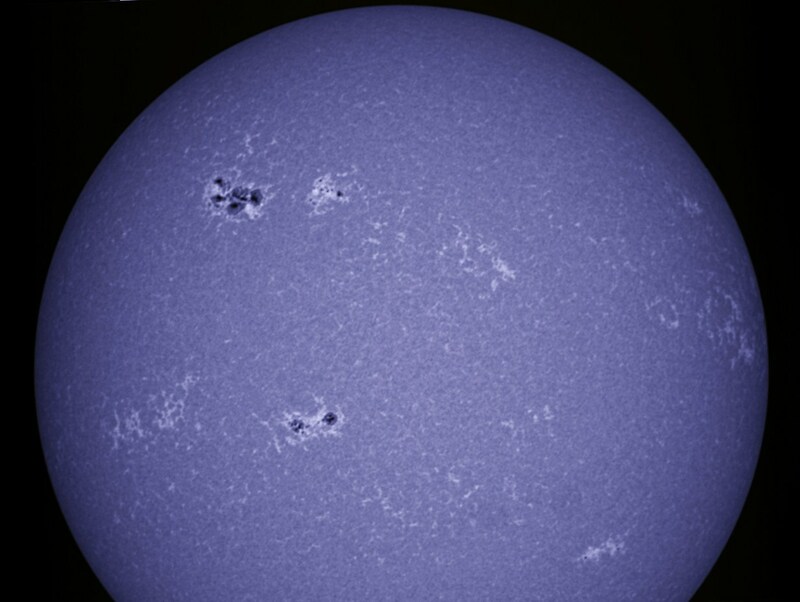 Here is an image taken of AR1650-57 in CaK on 1/12/13. Here is an image of the Sun taken on 4/21/2013 from Alamogordo NM using a Lunt 80mm solar telescope and Imaging Source DMK41AU02 camera. 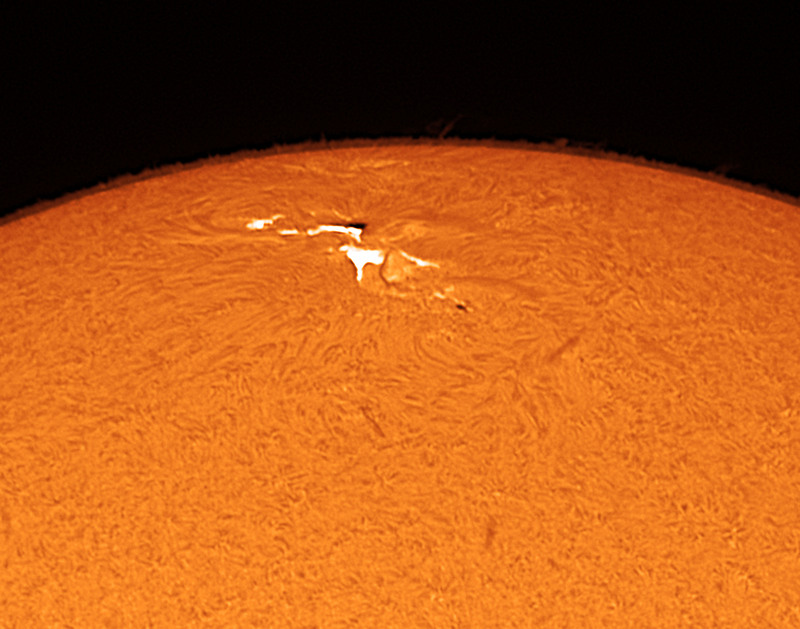 Active region 1726 is the prominent feature and is more than 150,000 km across !! 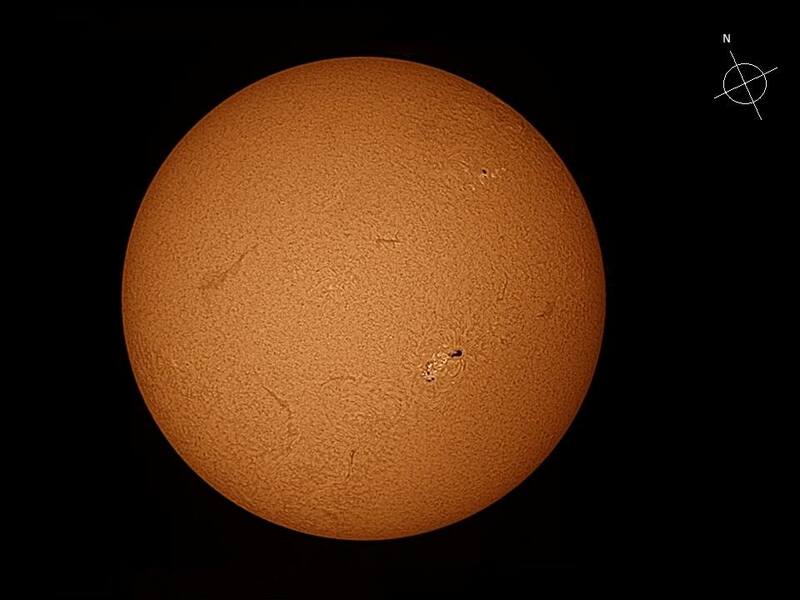 The Sun taken on 11/11/2014 from Alamogordo NM using a Coronado 90mm SMII solar telescope and Imaging Source DMK41AU02 camera. The snakelike features are large eruptions on the Sun seen edge-on. 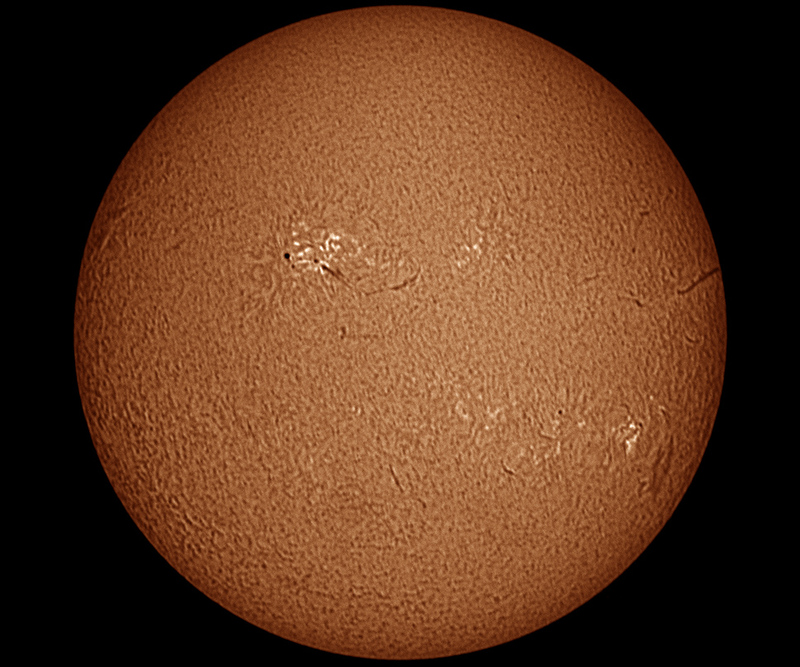 An image of the Sun taken on 8/7/2015 from Alamogordo NM using a Coronado 90mm SMII solar telescope and Imaging Source DMK41AU02 monochrome camera. 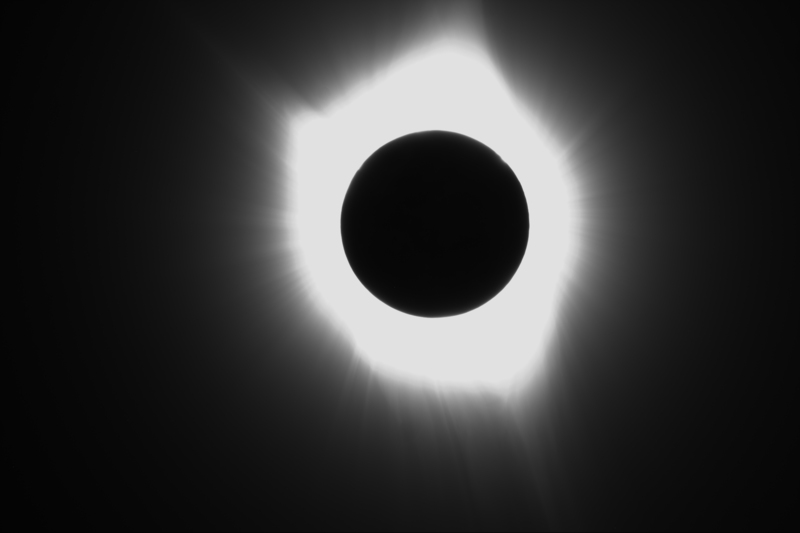 Unprocessed image of the Aug 21, 2017 eclipse from Glendo State Park taken through a Stellarvue 80mm f/7 refractor and Canon 500D DSLR.